Here is our list of fun things to do in Trinidad And Tobago. The sights and sounds of Trinidad will leave you and your family with lifetime memories! Enjoy stunning tropical beaches with colourful marine life. Snorkel and scuba dive, hike and zipline. Take in the city life from the Industrial to the Carnival. Spend a day relaxing in a magnificent park and spend a night listening to the iconic steel pan drums. This exotic island will capture your heart and soul and you are sure to return again! 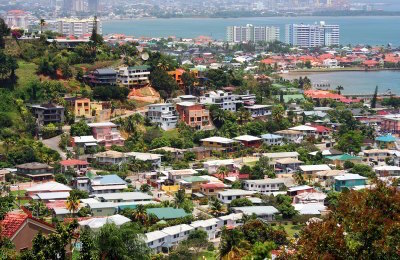 Enjoy the scenic beauty of Port of Spain located in the most wonderful place, the Gulf of Paria, surrounded by towering mountains. This financial hub is a buzz of excitement with great sights all over the city, from the Magnificent Seven, a group of mansions on Queen's Park Savannah to the quaint Ôgingerbread houses along the Botanical Gardens. Getting immersed in the world famous Carnival is a fabulously exciting things to do in Trinidad! Enjoy the vibe, the food and the atmosphere. Join the Steel Yards Experience to explore the Port at night and treat your ears to some local music played on Steel Pans and your taste buds to some mouth-watering street food. Grab your friends and family and get ready for a day filled with sightseeing and adventure. Take the Mini island Tour of Trinidad, one of the best Trinidad activities, and experience the culture of the main city, buzzing with markets and street bazaars, the perfect thing to do in Trinidad. Visit the pottery museum and try your hand at making something special to take home. Next head to the Hindu Temple and meet Lord Hanuman standing tall at 85 feet, just outside. Stop at the old sugar plantation and Fort King George to brush up on your history knowledge. Some other fantastic sights to see include Pitch Lake, a natural tar pit and Port of Spain that is home to awesome restaurants, serving delicious delicacies! 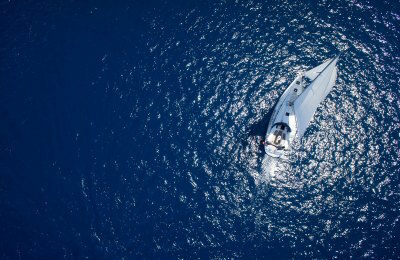 Enjoying a day at sea is the first thing to do in Trinidad and Tobago. Explore the incredible Buccoo Reef onboard a glass bottom boat. You can take this tour either from Scarborough, Tobago, or from Port of Spain, Trinidad. Spot manta rays, sea turtles and exotic colorful marine life swimming below you in the reefs. Stop at the perfect snorkeling spot and snorkel among stunning tropical colorful fish and corals. Move on to crystal blue waters at Nylon Pool, a fantastic shallow area in the heart of the ocean. Feel the wonderful warm sun on your skin as you drift on the water for a bit of downtime. End your day by taking the Caroni Wetlands Boat Tour and discover the exquisite scenery of the mangrove swamp, thriving with wildlife. Keep an eye out for the glorious Scarlet Ibis! Getting immersed in culture, aromas and sights is the next thing to do in Trinidad. Start off in the lively city of Chaguanas, it is filled with wonderful fresh produce markets and exciting, bustling bazaars and you will be enthralled by the sights, sounds, and scents surrounding you. Get your taste buds going with a local favorite, Khurma, a tasty Indian snack. Head to a quaint pottery house and put your artistic abilities to the test. 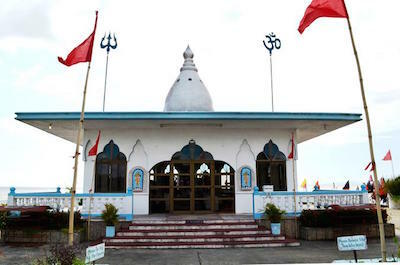 Next, visit Central Trinidad and take a moment to admire the religious monuments around you, including Hindu Temples and prayer flags. Look out for the famous Hindu monkey-God, Lord Hanuman. 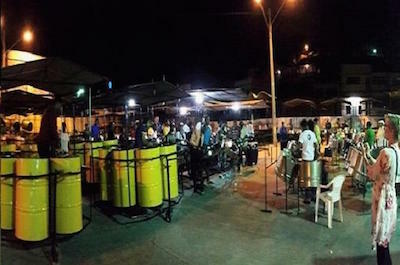 Spend the evening at a traditional Steel Pan Yard, where the electrifying rhythm of steel drums will thrill your ears and get your toes tapping! Spend the day exploring! A great thing to do in Trinidad is to take the ÔHighlights of Tobago TourÕ and be captivated by the wonderful sights of the Caribbean. 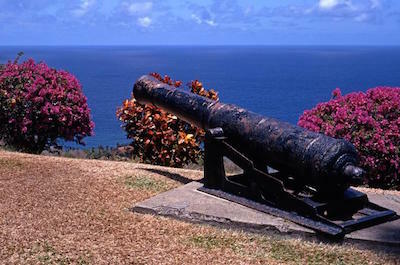 Visit Fort King George complete with some of the best panoramic views of the ocean. Next, stroll through the Royal Botanical Gardens where you will be thrilled by the rich scents of the exotic plant life. 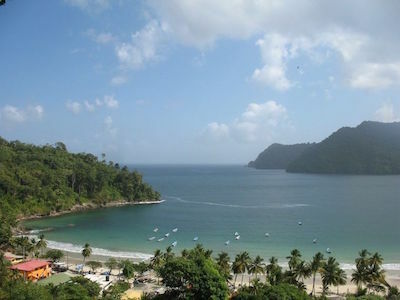 Head along the coastline and stop at the Maracas Lookout point for panoramic views. Enjoy traditional cuisine and shopping at the local village markets. For those who love the outdoors, hike through the Trinidad Rainforest to a majestic waterfall or zoom above the trees via zipline. 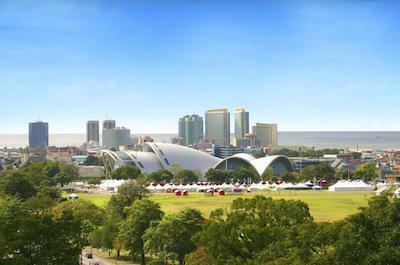 Check out Port of Spain or simply relax on the Caribbean beaches. Feel the beat of the Caribbean! Spending an evening exploring the Steelpan Yards is an unusual and exciting thing to do in Trinidad. Listen to the different bands practising their own unique beat on pans or steel drums. Made from an oil drum and turned into a musical instrument, they can produce almost any type of music from local Calypsos to the most difficult classical compositions. Some of the bands have more than 150 players! As the traditional music fills your ears, enjoy delicious spicy street food and home brewed beer to quench your thirst. For something special, book for a Calypso Show, where Steel Pans are used to convey social and political messages to a mature audience. Looking for more things to do in Trinidad? Take a day off from reality, grab your hiking boots and your camera and join the Trinidad Rainforest Hike to Waterfall Tour to explore this piece of paradise. 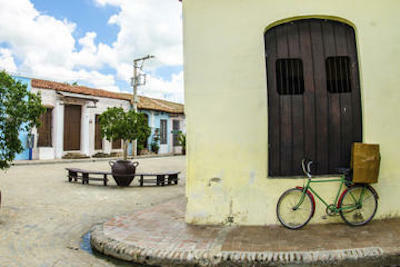 You will head to a little village in the rainforest, straight out of a storybook it would seem. Set off on foot and hike along shallow rivers that lead to the magnificent 65 foot tall waterfall that will certainly leave you speechless. Hop off the rocks into the plunge pool below the waterfall. Enjoy the water with a wonderful, natural massage included. For the more adventurous, hike to wooden platforms above the trees and zoom through the rainforest via zipline. Another favorite! 'Get lost in nature and you will find yourself' - sounds good? Getting in touch with nature is another fabulous thing to do in Trinidad. Hike along a flat riverbed that leads to a majestic 65 foot tall waterfall plunging into a large pool below. Take a dip in this natural plunge pool and feel the exhilaration of the Island's beauty. Next, head up the beautiful coast to Maracas Beach. Swim in the crystal waters and enjoy a hearty Ôbake and fish lunch. 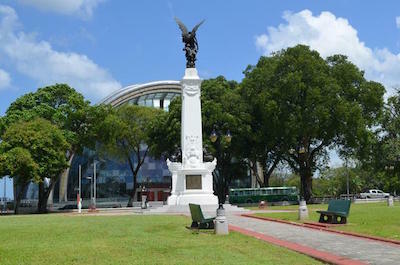 After lunch, explore the Port of Spain including Queens Park Savannah, one of the most visited Trinidad activities. End the day at the tranquil Las Cuevas Bay, soaking up the remaining rays before the sun sets, turning the sky an astounding red. An adventure awaits you! 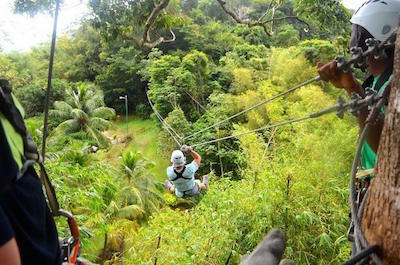 Ziplining over the forest and the crystal blue ocean is one of the most exhilarating things to do in Trinidad. 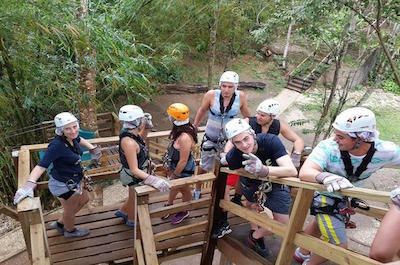 Fly over the canopy of the forest from 7 different lines with 5 canopy walks included, for the brave of course! 100 feet up in the air zooming along 500 feet lines will certainly thrill you, with fantastic scenery at every twist and turn. Take the Trinidad Zipline and Hiking Combo Tour and once you are safely back on the ground with shaky legs, head to a 65 high foot waterfall plummeting into a plunge pool below, inviting you in for a refreshing dip! Depart on a winding road through majestic mountains and along pristine untouched beaches to a 10th century sugar plantation in Charlottesville with Pigeon Peak as your backdrop. Visit Fort King George and the museum on site. Pass several villages before arriving in Charlottesville. Visiting Richmond House, the restored sugar plantation house, is a fascinating thing to do in Trinidad and historians will be enchanted. Explore the area and look out for the waterwheel, used in the operation of the plant back in the day. End the day in Speyside, a small fishing village, and enjoy a delicious meal at Jemma's Tree House Restaurant. They serve the best fish and chips! Check out the world-famous Asa Wright Nature Centre and be completely amazed by the incredible wildlife that calls it home. 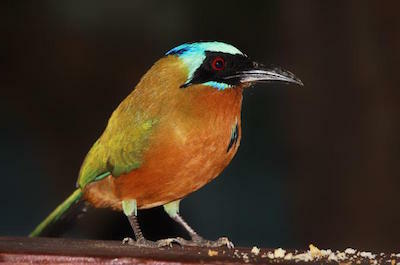 Spend a day testing your bird-identifying skills, a fun thing to do in Trinidad. The colorful bird life will swoop overhead with cheeky whistles and calls as you pass. Even though the coffee plantation is long gone, you will still be able to enjoy a delicious cup of coffee or even lunch on the veranda of the old colonial manor. Take a tour with a knowledgeable guide who will point out the different birds, massive butterflies and lizards basking in the sun to warm their bodies. There will be some great photo opportunities so donÕt forget your cameras! Head out into the mountains from Port of Spain. Travel down winding mountain roads as the wonderful Maracas Bay comes into focus. Spending a day at this scenic bay is a great thing to do in Trinidad. You will feel like you have just stepped into paradise as clear white sand surrounds your toes and crystal clear blue water kisses the shore. Palm trees sway gently in the breeze as your skin tingles from the sun's touch. Enjoy a day of wading in the water and paddling. For the thrill seekers, try surfing and scuba diving or hiking some of the fantastic trails in the forest that surround the bay. A day well spent! 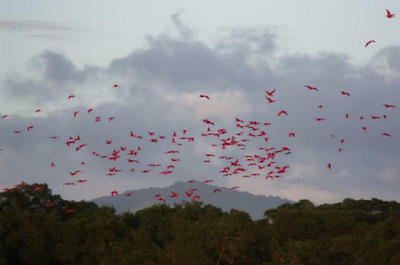 Spot the scarlet ibis overhead as it flies back from its daily feeding ritual nearby Venezuela. This is just one of the thousands of birds that return to roost in the mangroves of Caroni Swamp. One great thing to do in Trinidad is to take the Eco-Cultural Tour from Port of Spain and explore the Caroni Bird Sanctuary. As the sun dips close to the horizon, enjoy a boat trip on the canals and streams of the swamp. Look out for snakes and IguanaÕs taking a peek at you from the banks. As the sun says its last goodbye, the sky lights up with the fiery feathers of the scarlet ibis returning for the evening. An incredible Caribbean sight. Treat your nose to the glorious sweet scents of the Royal Botanical Gardens. Home to tree species from every single continent of the world, this place is sure to make you feel as if you are in paradise. Exploring the Royal Botanical Gardens is the next amazing thing to do in Trinidad. 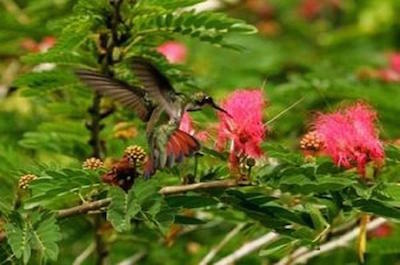 Walk amongst the beautiful blossoming trees and look out for tropical birds sipping on sweet nectar, chirping with glee. The garden is famous for African Tulip trees, cigar trees and stunning magnolias. Next, head to the President's House and cemetery, as a tribute to important Trinidadians who left their legacy on the Island. 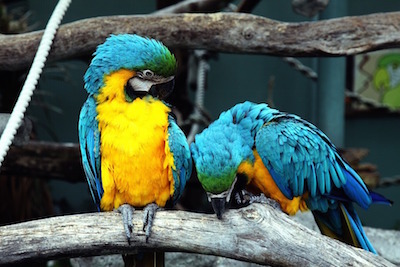 Visiting Emperor Valley Zoo, named after the beautiful blue Emperor butterfly, is a great family thing to do in Trinidad. Explore 7 acres of pristine Caribbean nature, home to the most incredible creatures including lions, ocelots and even some friendly giraffe. Navigate through the winding footpaths and keep a sharp eye out for naughty raccoons, mighty boa constrictors and exotic birds. Stroll through ponds filled with flamingos and gardens filled with hummingbirds. Explore the landscaped gardens and then admire the exhibits from South America and Africa. This is a fun-filled day out in the sun! Visiting a picture-perfect swimming pool in the middle of the ocean is the next exciting thing to do in Trinidad. Take a trip on a glass bottom boat to TobagoÕs fantastic Nylon Pool. This huge shallow bank is the perfect place to swim and snorkel in the tropical Caribbean waters. It was named Nylon Pool by Princess Margaret who said the glassy water reminded her of looking through a clear nylon stocking. Snorkel through the colorful corals of Buccoo Reef, home to many interesting, tropical fish and marine life. 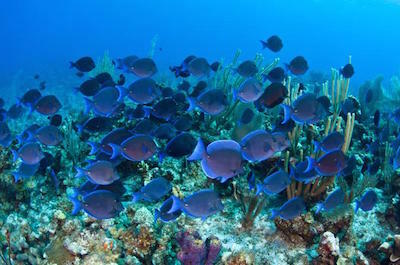 Spot parrotfish, queen angels, and trumpet fish darting through the reefs and cheeky turtles watching you float by. Soak up the glorious sun as you drift on the water with Pigeon Point as your backdrop. 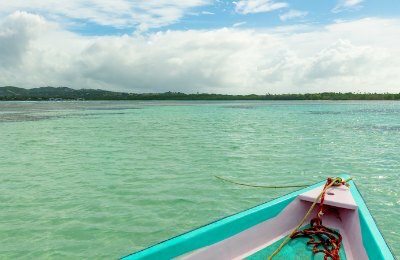 Set sail on a glass bottom boat to the wonderful Buccoo Reef with the Glass Bottom Boat Cruise. Visiting this special underwater Eden is one of the best things to do in Trinidad as it is known as one of the most spectacular reefs in the world. Scuba and snorkel your heart out. Jump into the crystal blue waters and dip below the surface. Marvel at colorful coral and the magnitude of tropical marine life. As you drift through the water with the sun warming your back, discover Nylon Pool, one of the most exciting Trinidad activities, a shallow bank, home to even more interesting marine life and one of the best swimming spots in the Caribbean. Taking a break from the beaches and visiting the industrial capital is the next interesting thing to do in Trinidad. How about walking on a natural tar pit? That is certain to thrill the kids! Start at Harris Promenade located in the city center and enjoy an open air concert in this fantastic urban green space. 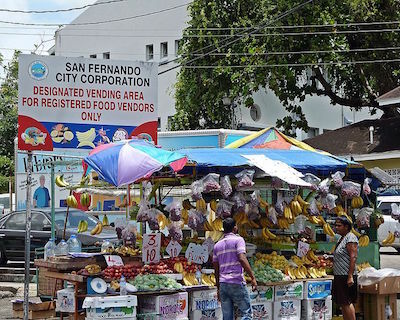 Visit San Fernando Hill where the amazing sights will take your breath away. This hill is locally called Anaparima, meaning One Hill. Then head to Pitch Lake, the largest natural tar pit in the world. Walk along its semi-hard surface and discover this one-of-a-kind environment. End the day exploring the wonderful mud volcanoes of the DevilÕs Woodyard, a real treat! Enjoy a day out in 'The Savannah'. 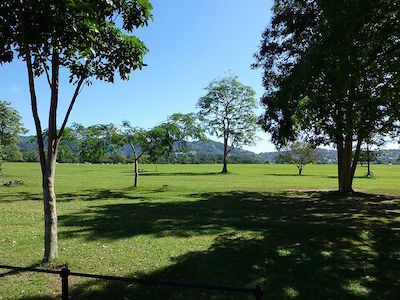 Not the desert, but a wonderful large green space in the Port of Spain called QueenÕs Park Savannah. This is a not to be missed thing to do in Trinidad. 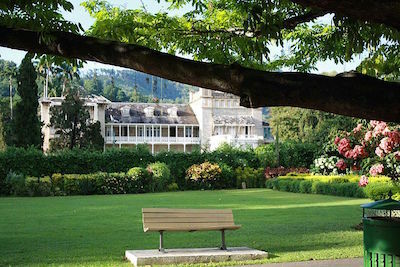 This 200-year-old park is the oldest in the Caribbean and sprawls across 296 acres. Here you will find the start of the world famous Carnival celebration! On the southern side of the park, the Grand Stand is found, used as the stage for various bands and competitions. Along the pathways, you will discover a number of sporting fields and gardens to take some time out from the hustle and bustle of the city. Don't miss the Magnificent Seven, a row of mansions along the Park's edge that are some of the most popular Trinidad activities as well. Travel back in time and learn about Scarborough, TobagoÕs capital city. In the 1600s the English, Dutch and French fought for control of the Island with the English taking claim and building Fort King George. 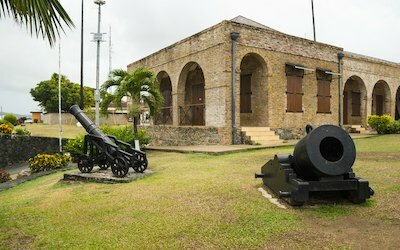 A fascinating thing to do in Trinidad is to visit the ruins of the garrison as well as the little on-site museum that contains many interesting artefacts including maps and weapons. Although a new deep-water port has been built, the history of the city has certainly been preserved with traditional wooden gingerbread houses dotted amongst the modern concrete structures. Enjoy some shopping at the Scarborough Mall or board a glass bottom boat and discover the wonders of Buccoo Reef. 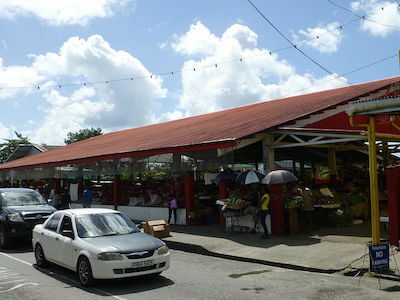 Just east of the Port of Spain lies Sangre Grande Town, the largest town on the north-eastern side of the island. Exploring this wonderful central city hub is one of the most fantastic things to do in Trinidad. Discover the red-bellied Macaw at Aripo Savannah or hike and picnic in Hollis Reservoir, a man-made lake with mountains as your backdrop. Visit Matura Bay, a well-known nesting site for the magnificent leatherback turtle. Explore more of Sangre Grande by taking the Island Circle Tour with stops at the Gulf of Paris, Mayaro Beach and Manzanilla where you will be captivated by the sensational scenery. A wonderful day spent outdoors. Just when you think there can't be more things to do in Trinidad, visiting Speyside is the next! This small town lies on the coast of Tyrell Bay and is known for its spectacular reefs and diving spots. Speyside will certainly not disappoint those who want a day out in the water. A short way from the shore, you will find Little Tobago and Angel Reef, home to some fantastic coral reefs, filled with fish and manta rays. Next, head to shore, where you will find a variety of tropical birdlife. Look out for the Speyside waterwheel, a once important part of the sugar plantation that called Little Tobago home. End the day with a bite to eat at JemmaÕs Tree House Restaurant. Delicious!